The ultimate guide to Fernie ski holidays in 2019 & 2020. It’s easy to see why Fernie Alpine Resort pipped Whistler et al to the post for the title of ‘Best North American Resort’ in 2012’s World Snow Awards; the easily navigable mix of terrain includes everything from steep chutes to gentle groomers, and the base station has a great mix of restaurants, bars and slopeside accommodation. Even if you’re planning to ski from dawn til dusk (we wouldn’t blame you), a trip to town is well worth the 3 mile bus journey - stand at the corner of Victoria Ave and Hanson Street and take in the view of the Lizard Range of the Rockies, framed by the town’s historic buildings. They say Fernie Time is generally 15 minutes behind normal time and tellingly, the town has resisted hasty development. Founded in the 19th Century by the prospector and coal miner William Fernie, the streets have retained their historic charm and the whole place exudes a tight community feel. Rolling Stone magazine once dubbed this the “Coolest Town in North America” and we’re inclined to agree; the vibe is infectiously relaxed, visitors are warmly welcomed and you’ll find overwhelming evidence that, above all else, the locals love their mountains. The ski resort and town each have their fair share of accommodation so you can choose your base depending on where you plan to spend more time. Both are best reached from Calgary’s international airport, which may be 3 and a half hour journey, but the route’s an impressive one, passing through the heartland of the glorious Canadian Rockies. View our detailed Fernie snow forecast or snow report and see all live webcams, piste maps, road and travel maps and lift pass prices. For a picture of historic snow conditions see the snow depths month by month with our Fernie snow history. The Lower Mountain seems tailor made for newbies, with the Mini and Mighty Moose areas easing learners and little ones into the basics, under the tutelage of the excellent Telus Winter Sports School (this is also where you’ll find floodlit skiing on certain evenings). Improvers can then access some gentle green groomers from the Deer Chair and Elk Quad (including the delightfully named Holiday, Dipsy and Giggly Gully). The intermediate and expert terrain’s nicely mixed throughout the area, meaning groups of different abilities won’t find themselves miles apart. From the top of the Elk Quad, a cruise down the blue, tree-flanked Lower Bear leads into the Lizard Bowl, where you’ll find a nice collection of blues and black diamonds. For progressing intermediates, there are also a couple of blue/black trails like the lovely Linda’s run, which after a testing start eases into a gentler descent. The Boomerang Chair takes you over to the Cedar bowl – here experts will find numerous black diamonds (the aptly named ‘Steep & Deep’ is a must ski) while those after an easier route can stick to the blue Alpine Way to traverse the top of the bowl and descend one of the many blues. The Siberia Bowl’s always a pleasure to ski - take the Timber Bowl Express from the base where the likes of double diamond ‘Knot Chutes' and an awesome 5km blue called ‘Falling Star’ await. An “Experts Only” sign at the top of the Polar Peak Chair leads to some serious double-diamond gradients. Because you can get some laps going there (and of course for its Simpson’s reference…) we’re big fans of Side Show Bob’s. The Currie Headwall Gated Terrain on the other side of the ridge requires transceivers and a lot of experience, but with both of those it’s incredible. Confident boarders will love the knee-deep powder bowls, gullies and off-piste. Some flat spots and traverses are required to get to the good bits, particularly in the Currie Bowl, but it certainly pays off. A rail-centric freestyle park runs below the Deer Chair and requires a separate pass - if it’s kickers you’re after, pick any one of the bowls and nature will be your park. The Griz Bar at the base of the mountain is the place to go after a day on the slopes. Refuel with cold beers and pub grub or ask for their famous “Mogul Smoker” (a magnificent rum and Kahlua concoction). This is also the place of a local tradition called naked table sliding – we’ll leave the staff to explain that one! The Lost Boys Café at the top of the Timber Express Chair is the only on-mountain option for a sit-down meal while Bear’s Den, an open-air fast-food kiosk is great for a quick pit stop. Meander down to the base of the mountain for plenty more lunch options - Slopeside Coffee and Deli serves Starbucks coffee which you can sup on as you warm yourself by the outdoor firepit. For a hearty sit down meal, the Rusty Edge has a lovely laid back vibe, sometimes with live music while Lizard Creek Lodge does a mean lamb shank. 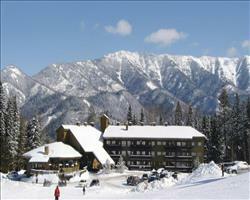 In downtown Fernie, you’ll find venues like the highly rated Yamagoya, a Japanese sushi restaurant. The Brickhouse wins ‘Fernie Fix’s’ “Best Burger in Town” prize and Nevado’s is a favourite for their nachos, tacos and tonnes of tequila. Kodiak Lounge, The Brickhouse and the Royal have live entertainment on different nights and Infinitea T-Bar & Boutique hosts all sorts of things, from live music to tarot and poetry readings to hula hooping and cookery classes. If it’s a party you’re after, The Northern Bar and The Royal showcase live music and DJs. Stay here over the Griz Days Winter Carnival in early March and you’ll be treated to a whole host of events to celebrate the local, snow-bringing legend. Whether you’re here for the carnival or not, the locals have some terrific tales of the Griz, well worth hearing over a pint of Fernie Brewing Company’s finest (ask about the Ghost Rider too – another piece of intriguing local folklore). For a glimpse of the town’s fascinating history of fires, floods and hardship, check out the town’s museum. If your accommodation doesn’t, Spa 901 has treatments, pools, saunas and steam rooms and the Aquatic Centre in town is also home to a 28 berth hot tub. For movie entertainment, head to The Vogue Theatre and if you’re not too tired from riding deep powder, snowshoeing and winter biking are a couple of alternative snow-based activities. 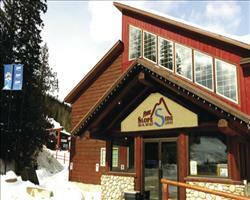 When is the best time to ski Fernie? The area wasn’t once called ‘Snow Valley’ for nothing - and hopefully the Griz will continue to deliver Fernie’s outstanding average snowfall of 37 feet / 11 metres each year. The lifts tend to open at the end of November (although there have been occasions where it’s been earlier than that) meaning conditions are a relatively safe bet between December and February. Or if you're more into big games, it's worth finding out when the Ghostrider Hockey Games take place and heading down to see one. Later on in the season, the lower slopes can suffer due to the resort’s modest altitude at the base but of course you get the bonus of milder temperatures, awesome views of the Rockies and brilliantly bizarre events like the spring Slope Soaker. Fernie is so laid back and friendly that families quickly feel at home here. 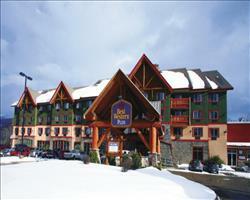 The ski area is nothing short of spectacular and you'll find excellent offerings for all from tiny tots to grandparents. For children who are too small to ski, Fernie Alpine Resort Childcare Centre have programs for tots from 18 months to 6 years, including lunch and ski lessons (for 2 years +). First timers can potter about around the Mini Moose and Mighty Moose lifts. Children will love the Wilderness Adventure Park, where they'll learn in a fun area dotted about with animals. Once they've built confidence, take them to the slopes from the The Deer and Elk Chair lifts - the trails here return straight to base, which is fabulous for teens who want a bit more independence. Intermediates are well catered for around the Lizard and Cedar Bowls and if you're bringing a clan of experts, they'll be on cloud nine - this is one of the best ski areas on the planet for difficult terrain, with glades, steeps, moguls and knee-deep powder. Don't miss the Polar Peak Lift where you can ski off the summit of one of the tallest peaks in the area. Hopefully they'll continue hosting night skiing on the green Mighty Moose run which is good fun for all ages - pizza, nachos, beer and cocktails are always ready and waiting at the Rusty Edge when you're ready to come in from the cold. If you need some indoor entertainment, the Aquatic centre in town has pools, a waterslide and wellness facilities to divide yourselves between. Elsewhere, Slopeside Lodge often holds a Family Game Night, you can take the kids to storytime at the library and Griz Kidz organise regular evening activities. Groups of expert skiers and snowboarders will think Christmas has come early with Fernie's super steeps, knee-high deeps and awesome bumps and glades. Less experienced snow-lovers will love it here too - first timers can get to grips using the Mini Moose and Mighty Moose lifts, while intermediates explore the Lizard and Cedar Bowls. 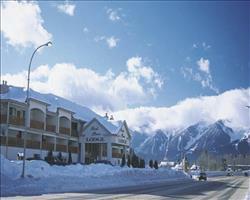 Choose between the Alpine Village and downtown Fernie when it comes to accommodation. The first is brilliant if you're all keen skiers who want to get straight out onto the mountain while the latter works well if you have any non-skiers tagging along, or want to be nearer the hub of restaurants and nightlife. Both are easy to travel between via a regular bus which tends to run quite late. However fussy your group are when it comes to eating, there should be something to please all in town, from Pizzas at Elk Valley to Nachos at Nevados, Indian at Curry Bowl and Sushi at Yamagoya. Rusty Edge at the foot of the slopes makes for a terrific meeting point - with daily meal deals (we loved their burger & beer / 1lb of Wings for $10), cocktails and huge jugs of Fernie beer. It's near the Mighty Moose run, where night skiing makes for a great group activity.